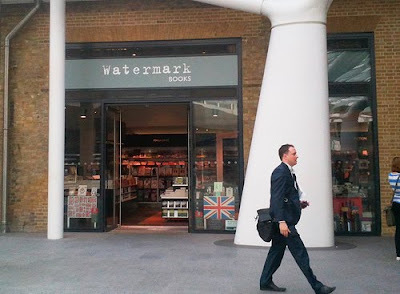 It will not be a surprise to hear that your author has a strong interest in London bookshops, but whilst our city has many great retailers of literature, unfortunately those found at stations are often quite lacklustre affairs. That is why occasional treats like the new Watermark Books at Kings Cross are so welcome. Opened in the new concourse as part of the Kings Cross refurbishment, whilst the shop is the first Watermark in Europe, the company is known for it's travel-focused shops at airports in Australia and North America and they hope the shop at Kings Cross will be the first of a number in the UK. Their selection of books and the passion of the staff certainly didn't disappoint and your author will be making further trips in future.